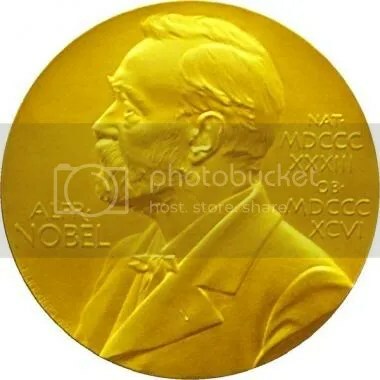 I couldn’t help but notice the flutter of posts about Obama’s winning the Nobel Peace Prize this morning. Obama expressed surprise at winning the award, saying he felt humbled and unworthy of being counted in the company of the “transformative figures” of history who had won it. “I do not view it as a recognition of my own accomplishments but rather an affirmation of American leadership,” he said in the White House Rose Garden. “I will accept this award as a call to action, a call for all nations to confront the common challenges of the 21st century. I haven’t heard anyone (besides the Nobel Committee) say that they believe Obama deserves this prize. In fact, my liberal friends are saying they believe the award has been cheapened now since Obama hasn’t really accomplished much in nine months. Before you get the wrong idea, I didn’t write this post to bash Obama. Rather, I’d like you to notice something: people tend to get their dander up when they see someone receive an award they really don’t deserve. It’s offensive to our human nature. It’s unjust! “Who does this person think they are, accepting an award they don’t deserve?” people ask. 7 Very rarely will anyone die for a righteous man, though for a good man someone might possibly dare to die. 8 But God demonstrates his own love for us in this: While we were still sinners, Christ died for us. 9 Since we have now been justified by his blood, how much more shall we be saved from God’s wrath through him! 10 For if, when we were God’s enemies, we were reconciled to him through the death of his Son, how much more, having been reconciled, shall we be saved through his life! While we were powerless, no good, ungodly, rebellious sinners, Jesus died for us. He gave us a gift much, much, much greater than any man can invent, and we did absolutely nothing to deserve it. We did just the opposite. 14 I press on toward the goal to win the prize for which God has called me heavenward in Christ Jesus. 15 All of us who are mature should take such a view of things. And if on some point you think differently, that too God will make clear to you. 16 Only let us live up to what we have already attained. What is Paul referring to? The gift of salvation and forgiveness of sin that Jesus offers to those who follow him. If Obama wants to try to live up to his Nobel Peace Prize, let him. In my opinion, he’s setting his sights too low. As followers of Jesus we’ve been given a gift we don’t deserve but in an ultimate way, and we have the privilege of striving to live up to it.